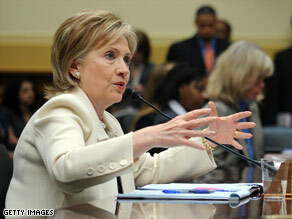 Secretary of State Hillary Clinton testifies before the House Foreign Affairs Committee on Wednesday. 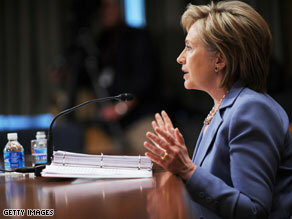 Secretary of State Clinton explained Monday what her agency is doing to respond to the swine flu outbreak. 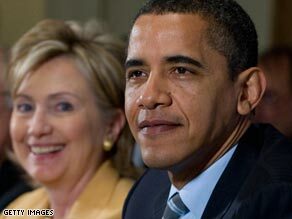 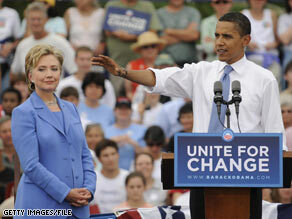 Barack Obama has turned Hillary Clinton from a political rival into a loyal ally. 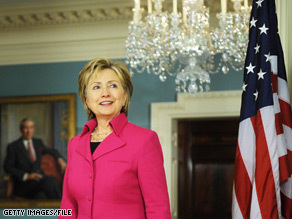 Secretary of State Hillary Clinton today announced $100 million in aid to Pakistan. 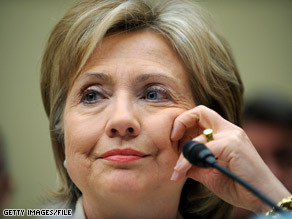 Hillary Clinton told lawmakers that new U.S. aid to Pakistan won’t fund nuclear development. 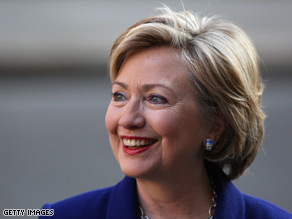 Hillary Clinton said Wednesday that Israel should halt its settlement activity. 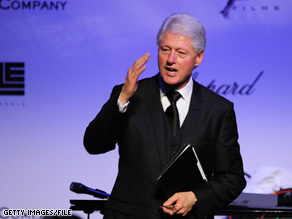 In an article in an upcoming issue of New York Times Magazine, former President Clinton discusses his wife’s new role as the country’s top diplomat. 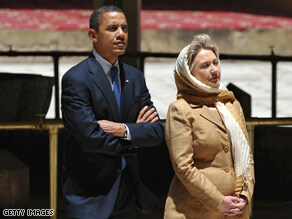 Secretary of State Clinton accompanied the president on his recent trip to the Middle East.